Instead of paint, when the cap is pressed the can ‘sprays’ light. The digital paint appears wherever the can is sprayed, just like spraying paint on a real wall. As well as its wide palette of paint colors, new features such as animated stars, swirls, drip effect paint and a variety of stencils are now available, and we can even custom make further spray patterns and stencils to reflect your event or client. The wall can be used in all event settings. 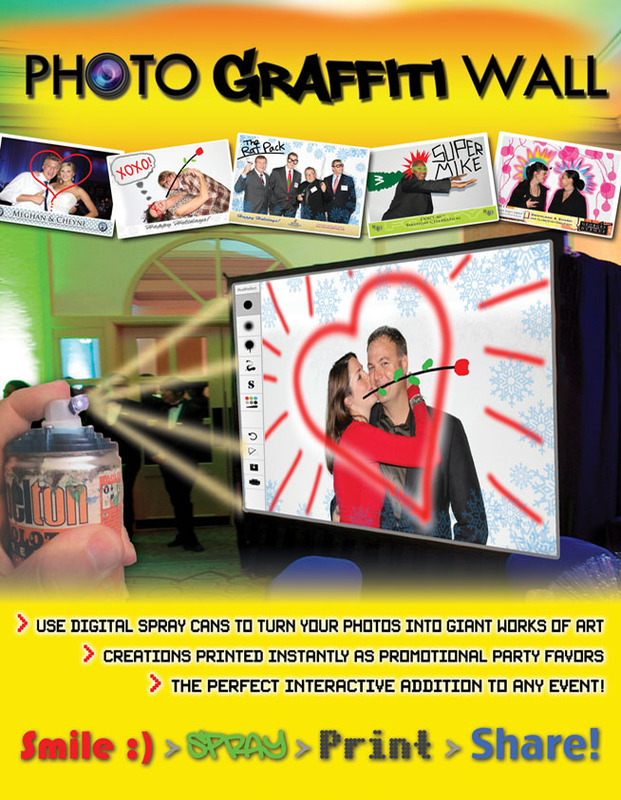 The virtual interactive digital graffiti wall excites guests and gives them the ability to express their own artist creations on a larger then life canvas. 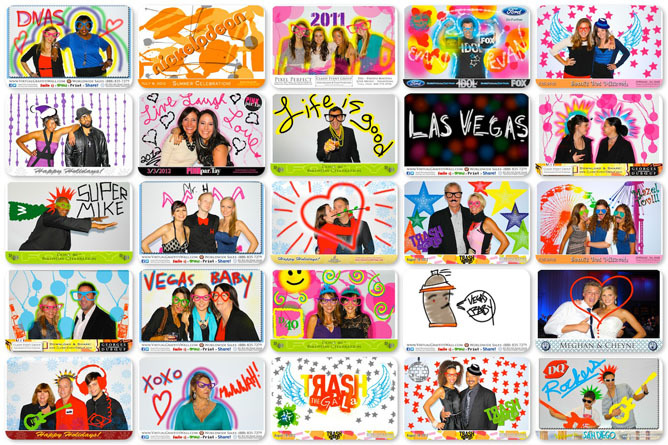 Any image can be loaded as a background so guests can easily paint like a coloring page, or allows for custom branding with logos or themes. Guests use a realistic spray paint can. After the guests create their art they can print a copy onsite or save it to a computer or website. Now with Green Screen and Social Media upload capabilities.